Breast Cancer? But Doctor....I hate pink! : My Wednesday PET Scan.. I got the call the day before, saying my insurance company had denied the test. I'm very grateful that they called me, because if I'd made that drive for nothing, I would have sounded like Mel Gibson on a bad day. The reasoning for the cancellation was, I think, that the scan was too soon. You are supposed to wait three months between PET scans, even if you don't have a definitive diagnosis. My San Francisco SuperSurgeon says that he thinks I might have inflammation in the ablated spot in my liver. My Sacramento SuperOncologist thinks there is 2 cm area of cancer growing back in the ablated spot. This test was going to be the tie-breaker, but now that noose tie must be worn for a bit longer. They will reschedule for some time in May and in the meantime, I do not know if the surgery was successful or not. I might remind you, the surgery was back in October. It really is annoying not knowing if cutting out half your liver paid off but as Mel would say, *#$* it you (#*$(# #$*#)*'s. It really has been the most surprising thing that I've learned since living in this medical world. They have these incredible machines that rely on electrons, atoms, and super magnets that were created by geniuses and unimaginable a generation ago, but they still may not give you a definitive answer on anything. And, they cost a lot. So, we wait. I either have cancer growing, or I am NED. There have been some upsides to this. Thinking that 2 cm of cancer is growing back in what's left of my liver spurred both my doctor and I to restart treatment. C-Diff scared us both but so does cancer. The Abraxane I've been on has been relatively easy, and truthfully, the first two weeks on it I felt better than I did before I started it. Now, I'm starting to feel some minor effects, mostly tiredness and more bone aches and cramping, but I still feel as fine as a person on chemo forever can feel. Of course, when the test is done it might show that I'm NED and we won't know if it's the chemo or if I was NED anyway, but I suppose it doesn't matter. Living with uncertainty is part of this cancer lifestyle. And, as Mel would say, $#*$*# that too. Day 1, first treatment. My scalp immediately started hurting so I thought I'd lose my hair early. But, I didn't. Day 17, the famous day that most folks lose it. Yet every hair is tight in my head. Day 21, balding day. Most people look like mangy dogs by day 21 and shave it. I still have it all. Dare I believe I'll miss this side effect? I need a haircut - should I call my stylist? Day 23, Oops. I pulled on my hair during one of my obsessive checks, and got about ten hairs. I did it again, and another ten hairs. And again. And again. If this was anything like last time, by tomorrow, Day 24, a pull would garner me 100 hairs, and it would start falling everywhere and start to make a big mess. Day 24, (today). No mess. It is coming out, but same as Day 23 - very slowly. I find hair on my keyboard, but only one or two, not 50 like last time. My drain isn't clogged yet. Oddly enough, it's only coming out on the bottom around the hairline, where the black hair is. The top, silver part, is strong, like bull. 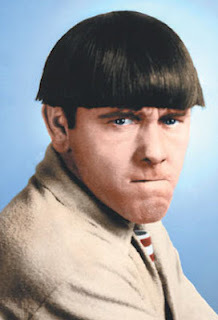 I'm going to end up looking like David Bowie circa 1980, or perhaps Moe from the Three Stooges. Maybe I'll keep enough so that I can manipulate it, like Donald Trump. I definitely won't shave it until it starts making a mess. Business news: I am experimenting with a new way for fans of But Doctor....I hate pink to chat with each other. I will inform you all as soon as the kinks are worked out. In the meantime, you can "like" my facebook page and start that way, and as always, comment below. Ugh I hate insurances. People complain about oil companies running this world but I think it is insurance companies. I was fine with insurance until my husband company forced me to get my own insurance, now I have both. So now the surgery I had in March, which my doctor got authorized and pre-certed, they are retro denying. Awesome. They are saying it is a pre-existing condition....which doesn't count since I have never had a break in coverage. They asked for proof, provided said proof, and they are still denying. I'm in appeals. Sorry had to vent. I hear you, Jennifer. Insurance companies are the pits, and I don't mean Brad Pitt. I have many insurance horror stories (medical and long-term care), but I won't share them because I don't want to sound like--well--Mel. To be fair, this is the first denial I have ever gotten from the insurance, and it's not like they won't do it again - just in a month. So I can't complain. Some work decisions were going to be made depending on what they said but I guess that can be delayed. My hair is still coming out ten at a time. At this rate, it's only going to thin out a little. Stay strong Ann. Your blog makes me sound downright childish when I complain about the pain being caused by a couple of herniated discs in my neck. Having herniated discs in your neck is quite painful I'm sure, and scary too. You never want anything to go wrong in your back or neck. Well, I'm rooting for NED for your liver, no matter what it might be credited to. It's a little maddening not to be able to say definitively which thing will have helped more -- surgery or chemo -- but as long as SOMETHING works, I guess that's the main thing. Somehow or other, my insurance once ended up letting me have a follow-up bone density scan way before they normally would have. It was about a year after diagnosis and less than the 'recommended period' after my previous one. My doc and I didn't realize we had pushed the envelope, as it were, until afterwards, and we were holding our breath for a while there, but somehow they let it go. Ssshhh, don't tell anyone, okay?? But then they quibble over whether I'm supposed to be having a diagnostic mamm or a 'screening' one on my unaffected breast, or whether I'm entitled to have a breast MRI once in a while. Shrug. GAH! Waiting... My fingers are crossed for NED. Hi, I just found you on BC.org. First, let me apologize for the pink hat. I sported that look before I knew I had cancer. I have since, burned it. Such grace you have - honest, open, grace. I am also a writer. 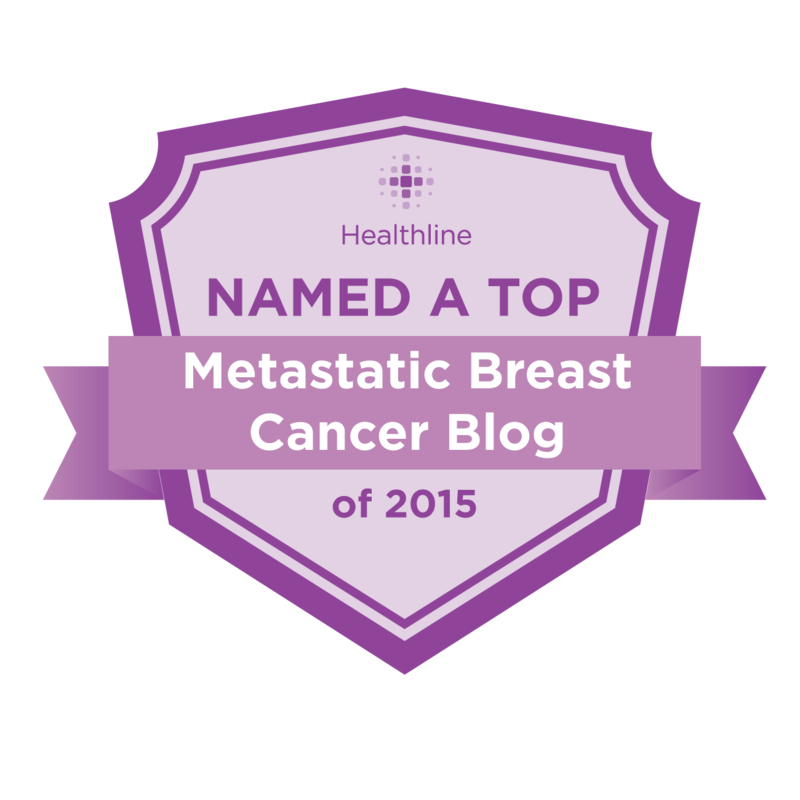 A section of my blog "The C in Me" addresses the cancer. More often then most, I'm living and laughing out loud. I'm going to add you to my roll and follow you without stepping on your heels.